Taking workwear to the highest level of normcore possible here with an added touch of subtle glitter, comfy days call for sweaters and culottes, and what better way to dress it up than a little bit of sparkle? As soon as I saw this bell-sleeved beauty from ASOS in all of it's glitter threaded glory, there was no way I couldn't snap it up, it basically has 'Laura' written allover it - modern with a teeny nod to the 60's/70's. After all, my glitter boots from ASOS needed a new pairing. 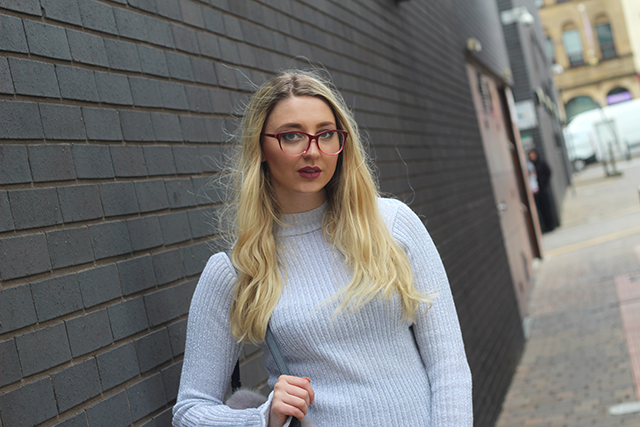 Another new addition to my wardrobe was these pink clear lens glasses that I picked up from Glasses Direct... 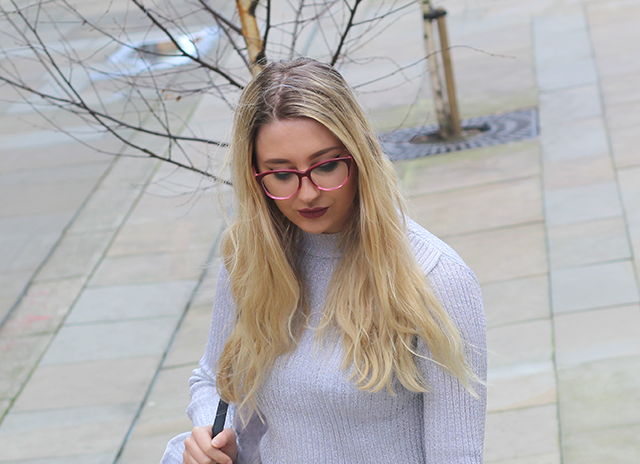 I've always been a bit of a glasses fan (and a secret nerd) so when I saw these retro style frames and in my usual colour of choice I jumped at the chance of owning them, who said geek chic was out?